After only half an hour you will spot the Kornati archipelago on the horizon, mobile phone signal will become weaker as the signal of perplexing fulfillment and happiness overtakes the whole body. All of a sudden, everything we were convinced to know about the beauty of our coastline shatters on the rocks and loses in the dreamlike maze of islands and islets. Finally, after anchoring in one of archipelago bays, phone signal completely disappears and we return to already forgotten civilization, forsaken in wilderness of intact nature and crystal clear sea. Only one encounter with the Kornati, living word with hosts and charming acquaintances with few locals still remained on the islands will change you forever. 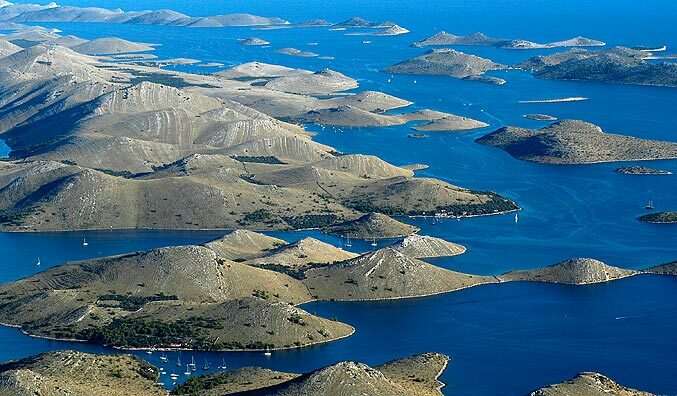 The Kornati archipelago consists of 152 islands formed 15,000 years ago after the global warming which raised the sea level by 100 meters leaving breathtaking peaks of former hills. The Kornati rocks and cliffs are up to 100 million years old which is proved by the fossils of former marine organisms one can find on the surface. The largest islands are Kornat, 25 km long and 2,5 km wide, and Žut and some of the interesting island names are Mrtvac (“Dead man”) or Kurba (“Whore”)…What’s most interesting about Kornati is that the archipelago is not inhabited. Only few of the islands are “alive” with some restaurants and private accommodation. The true beauty of Kornati lies beneath the sea surface where red and green algae, corals, crabs, rich and colorful fish world reveal incredible experience of coexistence already at first dive. 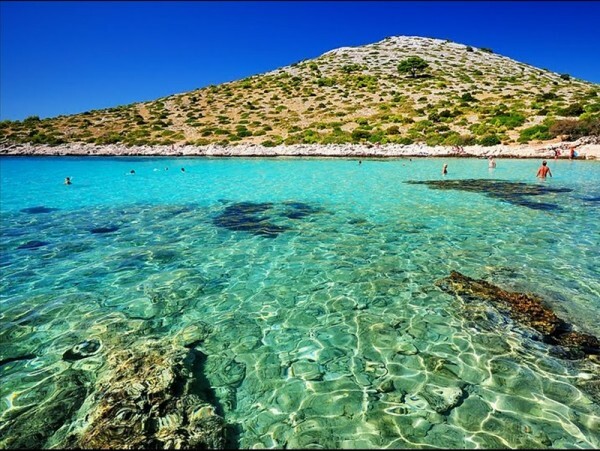 All this has been recognized by UNESCO that added Kornati on the World Heritage list in 1980.